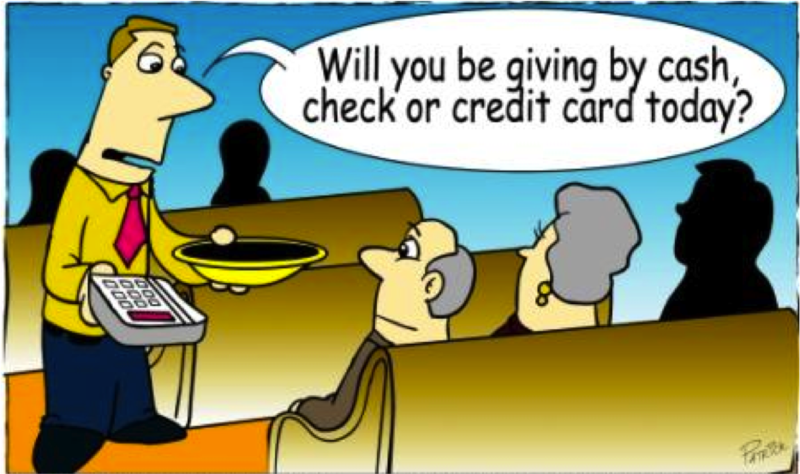 The utilitarian function of all credit cards is equivalent: a means of purchase such that the user of a credit card receives a good or service in return for pledging fulfillment of a liability at a future date. The average consumer carries 3.5 credit cards (U.S Census Bureau, 2014). Yet, the credit card industry poses tremendous hurdles to its players. How can issuing banks truly differentiate their bits of plastic in order to gain market share? As such, issuing banks have resorted to a growing array of cash-back techniques and airline miles, increasingly escalating offers and decreasing profitability. Why? Because the consumer has a steadfast unemotional response to each card: he/she does not particularly care. What if the issuing banks could elicit a positive consumer response to their particular credit card? Wait a second. Don’t American Express, Visa, and MasterCard dominate the credit card industry? Indeed. This oligopoly has controlled the transaction market for decades, earning a substantially healthy and steady interchange rate, while the issuing banks futilely struggle to differentiate. Here’s how it works. You, the consumer, spend $100 on your Visa credit card at Patagonia. Roughly $98 of the $100 goes to the merchant (Patagonia, in this case). Visa keeps 20 cents and thus $1.80 is left for the issuing bank, e.g. Bank of America. In the case of American Express, the issuing bank is American Express, and thus the entire $2 is retained by American Express. IMAGINE IF CONSUMERS COULD DIRECT THEIR CASH BACK REBATE TOWARDS MITIGATION OF ENVIRONMENTAL AND SOCIAL DEFICIENCIES. Earlier today, I sent the below proposal to American Express (as they issue their own cards), Bank of America (the largest card issuer in the U.S.) and Capital One (a large player, particularly innovative with card programs). I would like to propose an idea which would increase the profitability and market share of your credit card business as well as the sustainable image of your bank. Please note that I am not seeking any compensation or recognition. I write to propose an addition to your product set. 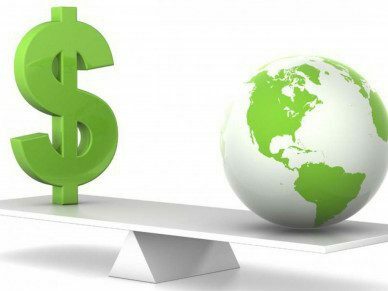 A recent study, conducted by Nielsen, revealed the following: 55% of global consumers across 60 countries indicated a willingness to pay more for products and services from companies committed to affecting positive social and environmental impact. The propensity to purchase from socially conscious brands is strongest in Asia-Pacific (64%), Latin America (63%), and Middle East/Africa (63%). North America and Europe weighed in at 42 and 40 percent, respectively. The holder of the Green Credit Card would be presented with the choice to direct his/her 1% cash rebate towards one of several visible and countable social initiatives: for example, planting a tree, donating eyeglasses to the developing world, or purchasing carbon offsets. Merchants who elect to participate as Green Merchants would receive a 97% discount of the purchase price rather than the customary 98%. The extra 1% from the merchant would be paid to the issuing bank and subsequently directed to the consumer’s choice of impact (indicated by his/her Green Credit Card). The consumer can view, in his/her online banking homepage, exactly how many trees he/she has planted (or eyeglasses donated, etc.) at any point in time. Moreover, embodying the power of shared vision, the consumer can view exactly how many collective trees have been planted by all holders of the Green Credit Card. The consumer will be incentivized by the ability to contribute to a very measurable social impact. The merchant will be incentivized by the ability to advertise its social consciousness, enhance its business model, and display what will soon become a renowned green sticker proclaiming: “We Are a Green Merchant”. First-moving issuing banks will gain serious image points from consumers as these banks become renowned for supporting environmental and social causes. The Green Credit Card will evoke an emotional response from the consumer towards your company as well as towards the participating green merchants. Finally, and most importantly, society receives a tremendous benefit. I mentioned this proposal on my website, www.thesustainableinvestor.net, and my readers would be utmost curious as to whether or not you believe this idea has merit. I welcome the opportunity to meet in person and discuss this opportunity further. Alternatively, I would be happy to schedule a call at a time of your convenience. Is it possible that we, ESG Vigilantes, have the power to heighten an entire industry’s focus on sustainability? We just might. Stay tuned. This is a WONDERFUL idea and a real game changer. I have the Bank of America World Wildlife Fund Card which gives .25% of the value of retail purchases to WWF. It has a decent cash rebate to me, but there is no contribution from the merchants to WWF. The merchants will really go for this idea. I am sure they have trouble deciding which causes to support. What a great idea, to allow their customers to choose from a few well researched causes. I could easily see that the merchants will both want to support this, as well as feel compelled to do so. Plus, maybe Bank of America would chip in another .25% so that the social cause gets not just 1.00%, but 1.25%. As soon as you get responses back from the companies, please post them! Great idea. Sign me up for two cards. There use to be several MBNA affinity cards prior to that company being acquired by Bank of America. But, I do not recall any that had the merchant participating. One of the banks should try this. My money is on a positive response from Capitol One; that company seems the most creative. I wonder if the credit experience or balances are different with the World Wildlife Fund Card. Are the socially conscious more likely not to have a credit balance and less likely to default on their credit card? Maybe. I join the others, applauding your efforts. Great idea! My guess is some of the European Banks might be good targets for this idea. Any banking subscribers willing to weigh in on this proposal? Great idea. The eyeglass idea is a good one – the gift of sight. Huge for the developing world. EXCELLENT POST TSI! YES, let us know what you hear. On a somewhat related note, you should check out Credo Mobile (http://www.credomobile.com) if you haven’t already. They are a socially responsible mobile company (compete w/ AT&T, Verizon, etc.) Credo leases space on Sprint’s network and offers plans that are similar to the Big Boys. Difference is that a small portion of your monthly bill is donated to charities that are CHOSEN BY THE SUBSCRIBERS (each month a different batch of charities are chosen). They also do issue advocacy. One thing they are pushing for is Net Neutrality, opposed, big time, by AT&T, Verizon and T-Mobile. Interestingly, Sprint is not opposed. AT&T and Verizon are members of ALEC (American Legislative Exchange Council) that is lobbying against Net Neutrality–and also funds climate change denial. Credo has their own card as well…again $$ goes to non-profits chosen by subscribers. But no mention of the merchants’ involvement. Perhaps you should get in touch w/ Credo. Wonderful article. Thanks for sharing your ideas.